Kim Jong-un calls Trump a 'deranged dotard,' says his rocket's 'visit to the entire US mainland' is even more inevitable than previously. North Korean Foreign Minister Ri Yong Ho at the United Nations General Assembly said US President Donald Trump made an "irreversible mistake" and threatened the "entire US mainland" with missiles. In his speech on Saturday, Ri said Trump "committed an irreversible mistake of making our rockets' visit to the entire US mainland inevitable all the more." Later on Saturday, Ri said that "none other than Trump himself is on a suicide mission." However, North Korea does not have "any intentions to use or threaten to use nuclear weapons against countries that do not join the US in military actions." Speaking at the United Nations General Assembly on Tuesday, Trump nicknamed Kim "Rocket Man" and said he "is on suicide mission for himself and for his regime." "No nation on earth has an interest in seeing this band of criminals arming itself with nuclear weapons and missiles," he said. "It is time for North Korea to realize that de-nuclearization is its only acceptable future." 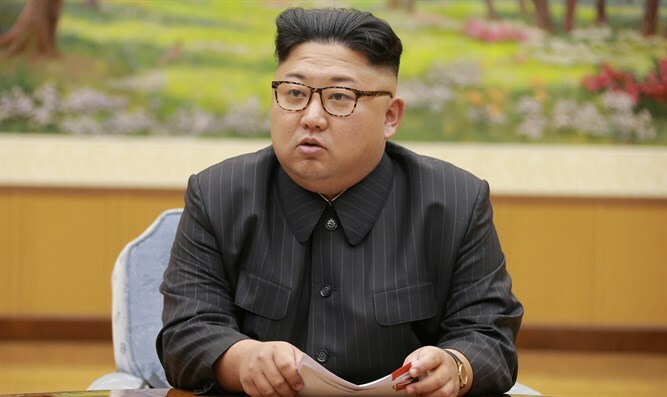 In response, Kim warned, "Now that Trump has denied the existence of and insulted me and my country in front of the eyes of the world and made the most ferocious declaration of a war in history that he would destroy [North Korea], we will consider with seriousness exercising of a corresponding, highest level of hardline countermeasure in history." "Whatever Trump might have expected, he will face results beyond his expectation. I will surely and definitely tame the mentally deranged US dotard with fire." On Saturday, US Air Force fighter jets and B-1B Lancer bombers flew over the waters east of North Korea, and US and South Korean military jets carried out practice bombing raids.